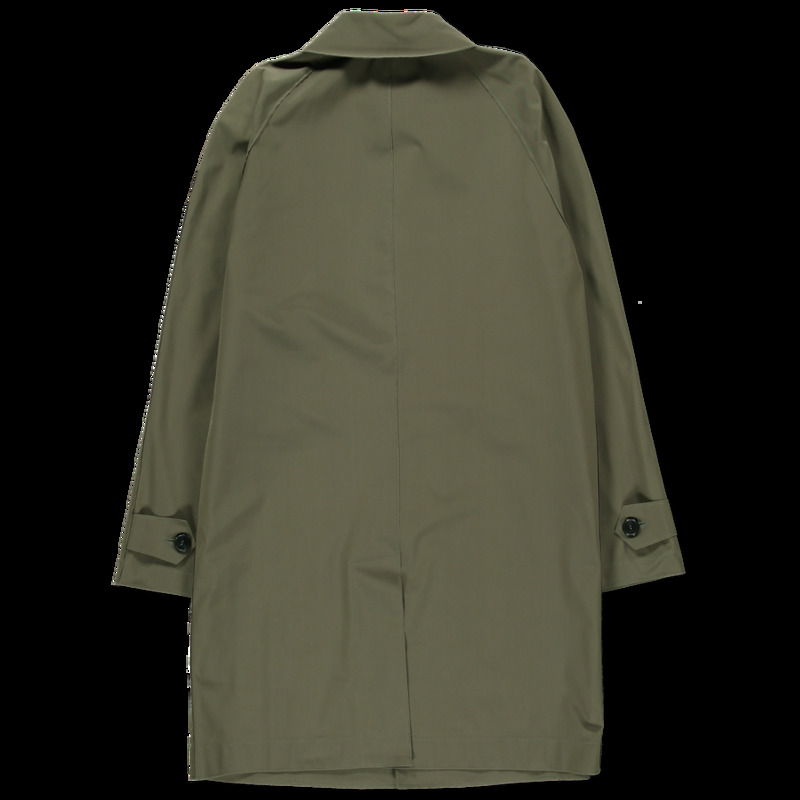 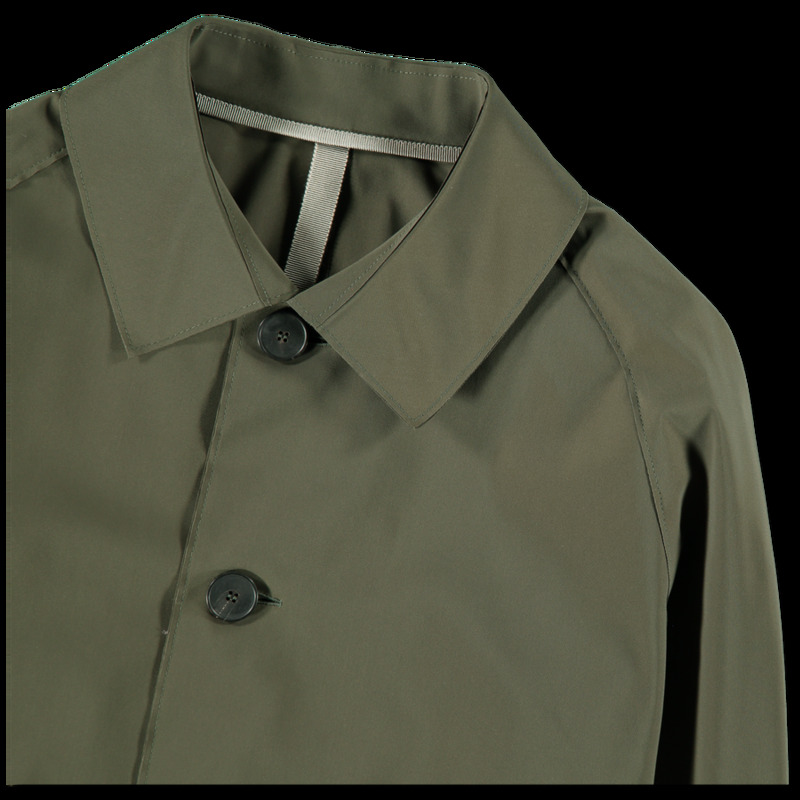 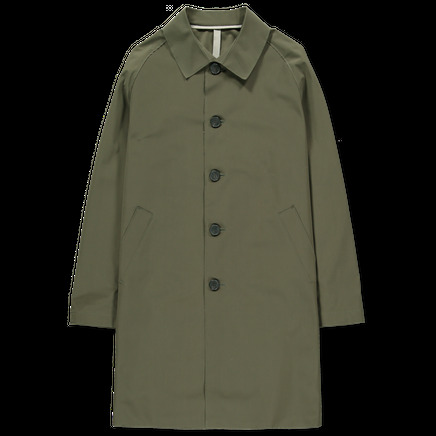 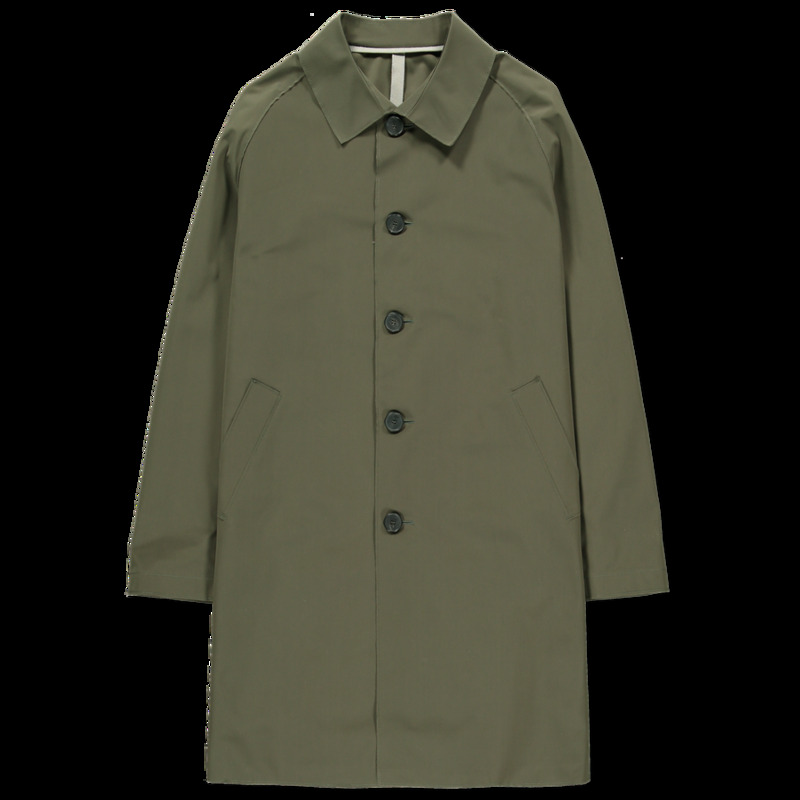 Technical mac in a water repellent poly fabric. 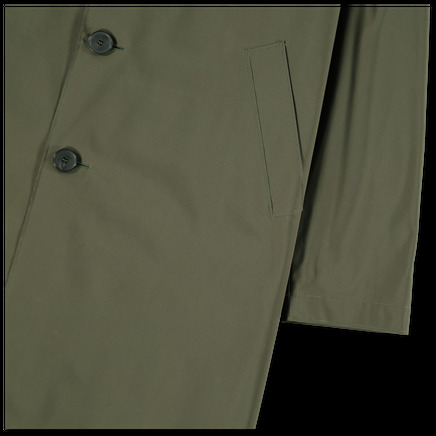 Featuring raglan sleeves and slanted side pockets. Five button placket, regular collar and center back slit.